Aliens or proctologists: who does it better? In this week’s episode, the Six Pack team explores the likelihood that we’re alone in the universe. 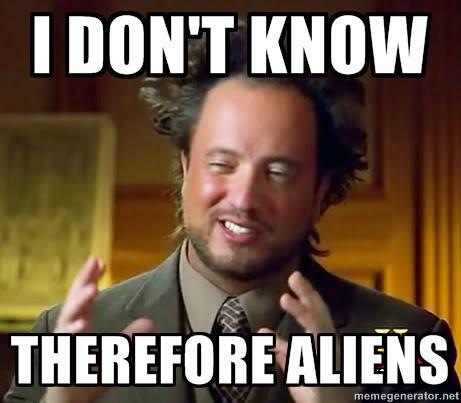 Now, we’re not talking about some idea that aliens have visited earth, or celebrating Area 51. Instead, we’re discussing if life could exist in the universe beyond Earth, and how it might occur that that life came about. Grab a beer and launch yourself into an exploration of space with the Six Pack team. CNet: Are We Alone in the Universe? So what if Earth and all the planets are molecules or atoms and the universe is the body of God or some other supreme being? Where would that leave us? Hypothetically, of course. I think you could argue that that’s kind of already the case. The universe just isn’t the sort of body we traditionally think of. I think perhaps that would leave humans as something akin to nerves and if that’s the case, then it would make sense that there are other kinds of nerves in the universe, some we would recognize as nerves and others that perhaps we wouldn’t yet. It would mean that God acts very slowly since the universal speed limit is really slow compared to the overall size of him. It would also mean he needs to be careful about how he moves otherwise he could create some gravitational imbalances in himself. Not really sure what else it would mean but that comes to mind off the bat.